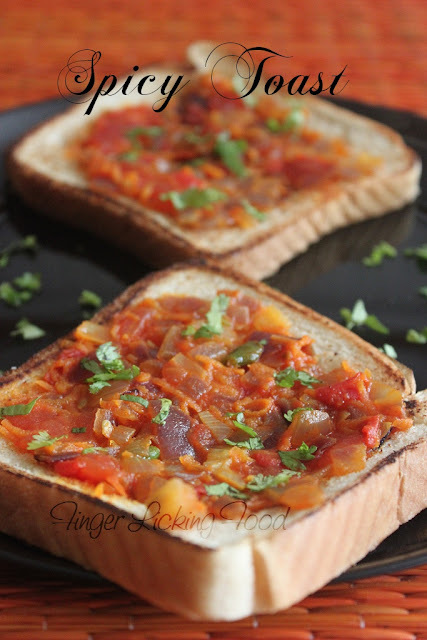 And the craving for more freshly baked ‘Iyengar’ bakery goodies continues… as if the Benne Biscuits,Khara Bread and Khara Biscuits weren’t enough, I had to go ahead and make my version of the “Toast”…spicy and yummy. Heat the oil in a small pan. Add the onions and green chillies, sauté until done. Add the chopped tomatoes, grated carrot, turmeric, salt and sugar. Cook until tomatoes are almost done, slightly soft. Turn off heat and cool slightly. Top with chopped cilantro. Butter the slices of bread and toast them on a griddle or pan until slightly browned. Divide the mixture among the slices and serve while still warm. droooooooooooooooooooooooooling!looks grabilicious :P would love it with a hot cuppa !! 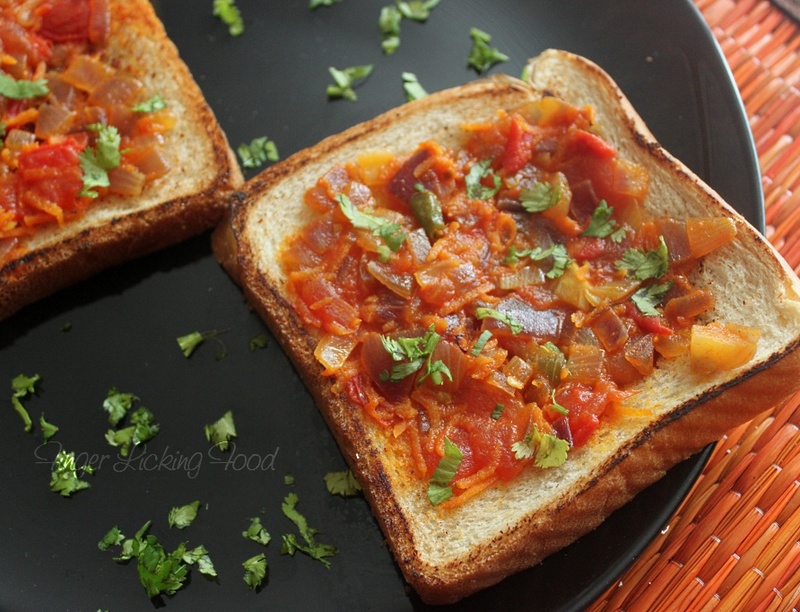 Omg, cant take my eyes from ur toasts, irresistible. I had made this too & tastes superb!! This looks absolutely delicious and guess what in my fridge I have some yesterdays bread, tomatoes and carrots only!! Tomorrows breakfast or tea is this! !